"Boy oh boy, you sure know how to bring someone down!" I'm sure that was the general sentiment after reading my last post: Recycling Conundrums: The Dark Part. Reading and writing it, I was feeling it in the pit of my stomach (so I know you were too). But, it was all news that needed to be known. Cower away from it might have been what we wanted to do, but knowledge is power. We needed to become experts on what's going on in the recycling world so that we can make sense of it, and shape the system to serve us. The good news is this is the Part 2--the bright side--where we can make actionable pieces to go forth and "clean up" our recycling routine to make sure we can get better at doing what we're doing with all the "stuff" that comes in and out of our house. Here's a little laundry list of pro-active steps we all should take. The first 4 come from 538.com's 1/18/2019 post "How to Make Sure Your Recycling Gets Recycled." Then I added some more to the list. Knowledge is indeed power! 1. Learn Your Local Rules. Not all programs are created equally. Know what you need to know for where you live. "I had always figured that if I didn’t know whether a thing was recyclable, I was better off putting it in recycling than in the trash. But the phrase you’ll hear from recycling experts is now 'when in doubt, throw it out.' "
2. Clean Off The Food. Waste of water? Maybe... but it might be worth the collateral loss of water to save the waste from the landfill. Cans, jugs, bottles, tubs. All of it. Crystal clear isn't necessary, but a rinse for sure. The last thing you want to do is get food scraps from your containers onto the paper products, contaminating those, making them harder--if not impossible--to recycle. 3. Break Down Your Boxes. All those Amazon boxes (and other home deliveries) have upped cardboard's usage/creation rate 8% over the past 5 years, however recycled cardboard rates haven't kept up. Likewise, that includes taking off the tape, throwing out portions with labels, and even box-cutting them down to regular paper size. That feels like a lot of work that a lot of people won't do, but it'll get things more recycled, less-landfilled, than not. The no-brainer here. Less consumption means less is wasted. However, in our over-packaged world of sometimes plastic-wrapped apples, that does become harder and harder to do. The word "Reduce" purposely comes first in the "Reduce-Reuse-Recycle" trilogy. Actually, maybe "Refuse" should be the first word in a four-word mantra! 5. Check out Waste Management's Recycle Often Recycle Right Myth Page. 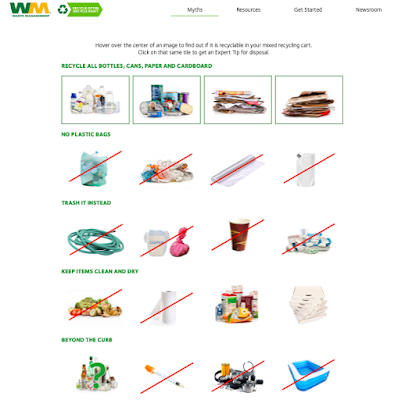 The Recycle Often Recycle Right Myths Page is a clickable list of major things to consider when it comes to recycling. Perfect for the hands-on and visual learners out there! Additionally, there are videos, printable, school curriculums, and other resources on their website that will help you navigate "what goes where." WasteDive's "How Recycling is Changing in All 50 States" page invites you to search for your state and see what's changed. From their reports, the effects of the changes are "heavy" in 13 states, "noticeable" in 28 states (and DC), and "minimal" in 9. Where are things in your neck of the woods? There you will see not only the negative "side effects" of the changes, but also the "changes & solutions" per state. Insider's article "17 Things You Should Never Recycle — Even If You Think You Can" is a great place to get a quick run down of those things that you should automatically trash. I definitely saw a few things that I need to re-train my family on--paper towels being one of them! Earth911 has been a great go-to for years to learn where to recycling things--whether it's household or specialty items. 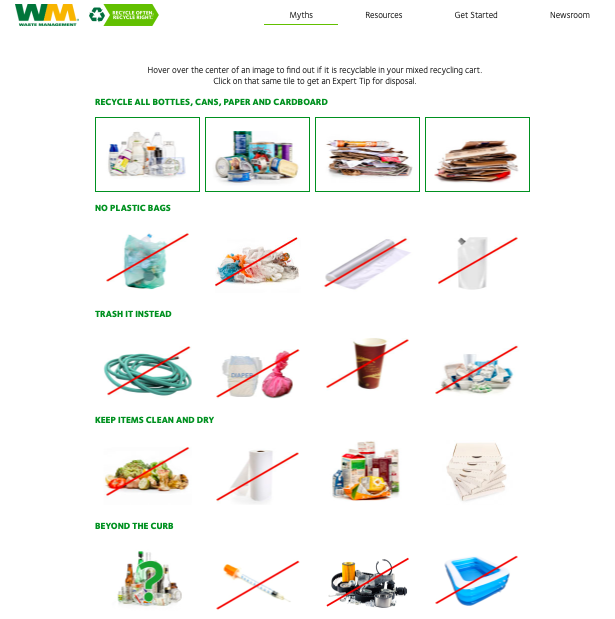 Their clickable Recycling Guide will help set the record straight on how and where certain items can be recycled. Terracycle has turned specialized recycling into an art. Look into their recycled waste streams and see what you want to invest your time in with them. I love their innovation to keep waste out of the landfill!! It may be a little more effort, and a little more work, but if the goal is a cleaner, more protected planet, it seems like a small price to pay forward!